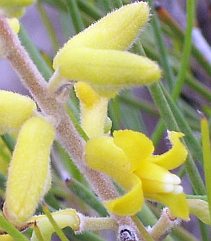 Meaning of name: Persoonia is named after Christian Hendrik Persoon (1755 – 1837), a botanist specializing in fungi. Saccata is from the Latin word saccus, meaning bag. 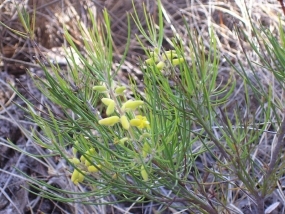 Aboriginal use: The fruits of Persoonia saccata were eaten. Distribution: Occurs from Lake Pinjar to Yallingup. Remarks: A shrub to 1.5 metres tall. 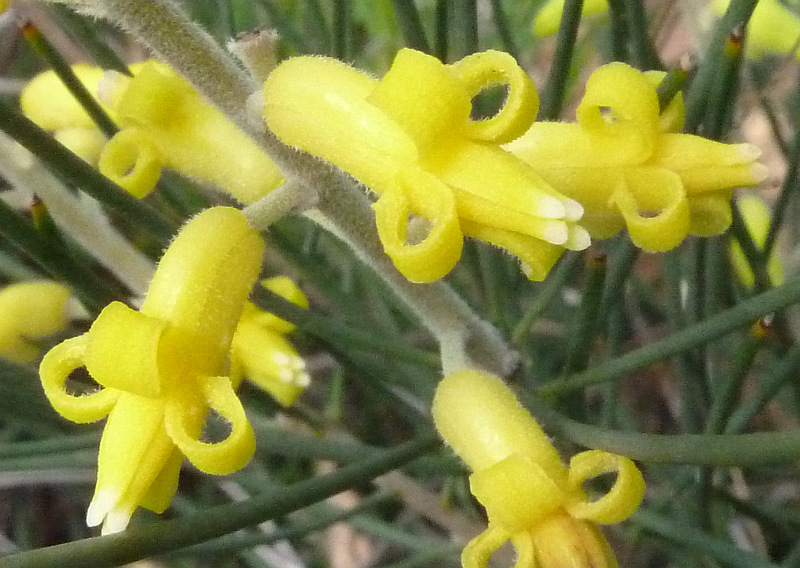 The yellow flowers are produced from July to January. 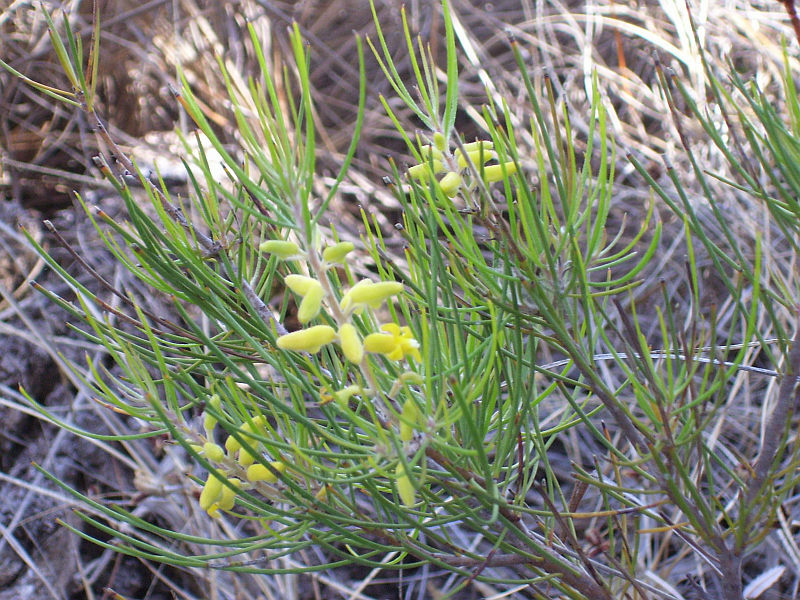 Bush Tucker Plants of the South-West. B Daw, T Walley, G Keighery. 1997.